Survey by Internet marketing research firm ComScore shows how consumers find local businesses. For almost 100 years, phone books have been a mainstay of advertising for small businesses. With the rise of online search engines like Google, business owners should be asking themselves if traditional print phone book advertising is still valuable. 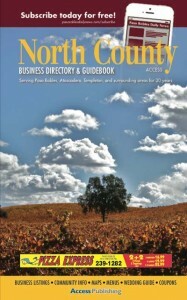 “Local phone books are still an important part of a balanced marketing strategy,” says Scott Brennan, CEO of Access Publishing, a Paso Robles-based advertising and marketing firm that produces the local business directory, North County Access, the San Luis Obispo County Visitors Guide, designs business websites, provides search engine optimization, and publishes the online Paso Robles Daily News and A-Town Daily News. “Over the past five years we have recommended clients move more of their advertising budgets to online marketing, but print advertising is still a great way to reach local consumers,” he says. 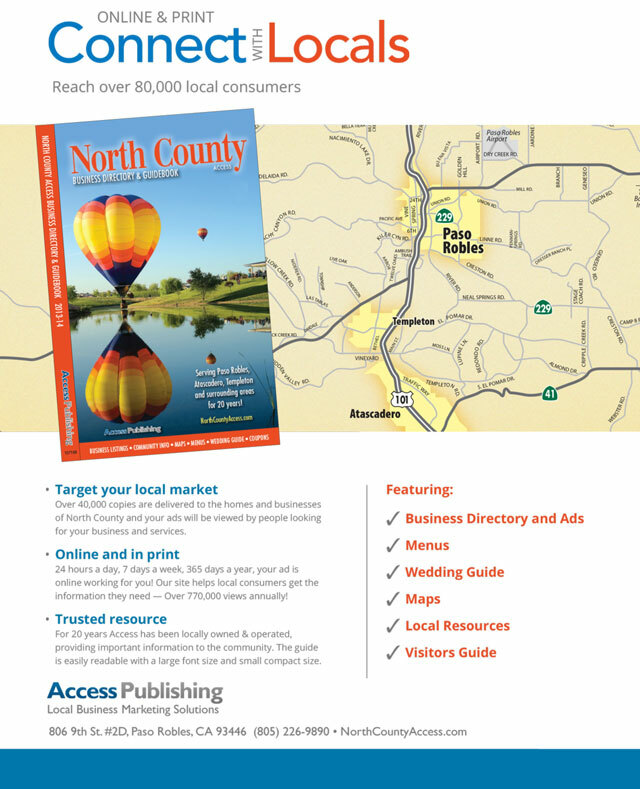 North County Access is delivered annually to over 40,000 homes and businesses in Paso Robles, Atascasdero, Templeton and surrounding areas. Does any one still use a phone book? Yes, they do. Brennan points to recent research: 84-percent of consumers use yellow pages every year to find businesses, according to Burke’s Local Media Tracking Survey. Phone books are more trusted than search. Forty-five percent of consumers say “The source I trust most for finding local business information” is print yellow pages, compared to 41-percent for search. 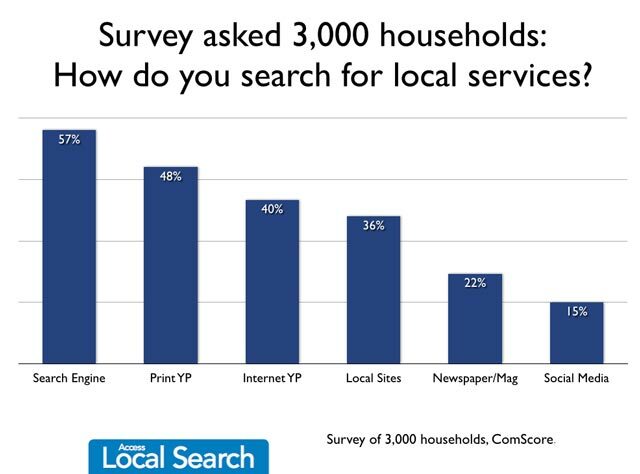 Forty-five percent also say the print yellow pages is “The most accurate source for finding local business information,” compared to 39 percent for search. • Get quality leads – 75% of Yellow Pages searches result in a purchase or intent to purchase. Business listings in North County Access start at just $29 per month. For more information on advertising options, call Access Publishing at (805) 226-9890 or stop by their downtown office at 806 9th Street #2d, Paso Robles, CA 93446.